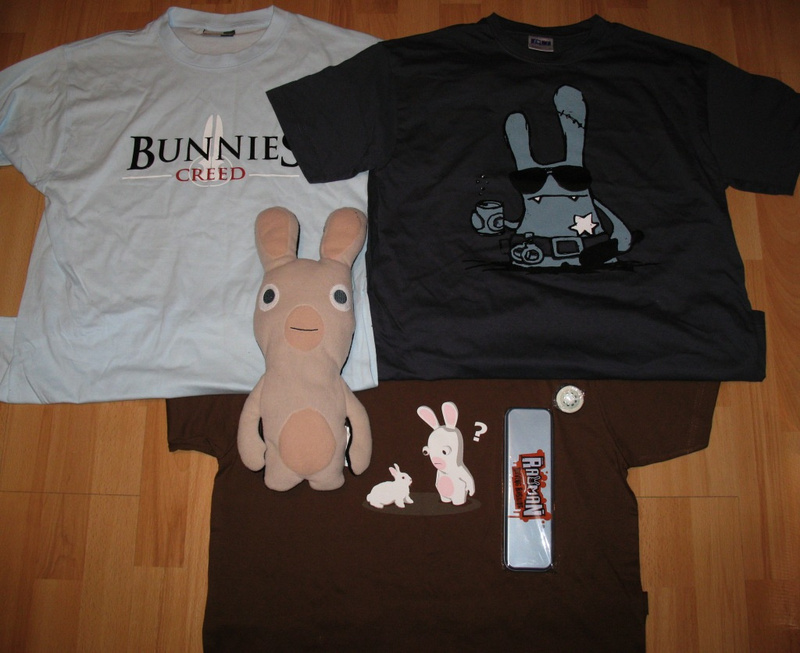 1st Place: A Rabbid plush toy*, three themed t-shirts, a Rabbid noise box, and a pencil case with stationary. 2nd, 3rd, 4th Place: A themed t-shirt, a Rabbid noise box, and a pencil case with stationary. To enter this competition you must be a member of the site, and live in the United Kingdom. 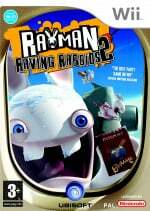 So if you fancy winning some of the Raving Rabbids goodies, head on over to the competition page. And remember, if you are interested in the game, don't forget to check out our review. Good luck, and be sure to pay your respects to our new Rabbid overlords! *NintendoLife is not responsible for any of the antics that Anthony, the plush Rabbid, may get up to. The competition winner will be advised not to feed him after midnight, and keep him away from water at all costs. Ah-hahaha - the T-shirt with the rabbid looking at a real rabbit.